The name ‘cardio’ speaks for itself—it’s any type of exercise that increases heartbeat, thus boosting the health of your tick-tock. Not only do such activities assist the pursuit of weight loss goals and the like, but they also strengthen your pumper and blood vessels improving oxygen flow in the body and reducing blood pressure. Just like any other muscle our ticker requires regular exercise for a reinforced cardio-vascular system. A stronger coeur means a lower risk of coronary diseases, stroke and even diabetes. It’s hard to say what the best cardio exercise for heart health is. As a rule, it is a matter of preference. Any cardio workout would protect you in tons of ways, as long as you keep it regular and avoid overtraining your pumper. It’s less hard, however, to distinguish the most popular types of cardio workouts and the ways they benefit our heart health. It’s a good old all-round workout which is a favorite for so many people. There is a simple reason for that – many of us don’t regard it as a tough physical exercise but rather a fun weekend activity. 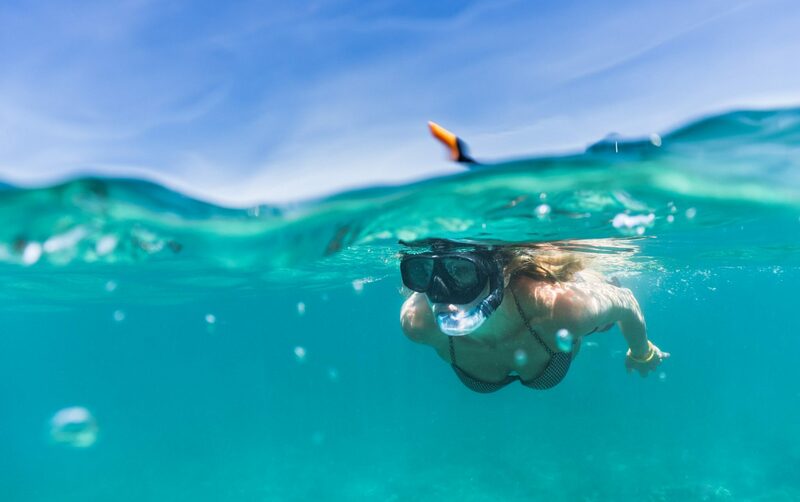 When we swim we engage various muscle groups, improve lung function and the work of a cardiovascular system, without realizing we are making much effort. As a result, we successfully build our endurance, muscle strength and maintain healthy weight. These benefits make swimming a go-to activity. Of course, running might be the first thing you think of when you hear the word ‘cardio’ – it’s familiar and easy to understand. And it’s a great way to stay in shape and boost stamina. Now listen closely, as there are ways to level up your cardiovascular endurance by going for interval training. Short intense intervals of about 10 seconds followed by slightly longer periods of rest helps build your fitness keeping your tick-tock healthy. Don’t start with interval training if you are out of shape or a non-runner. 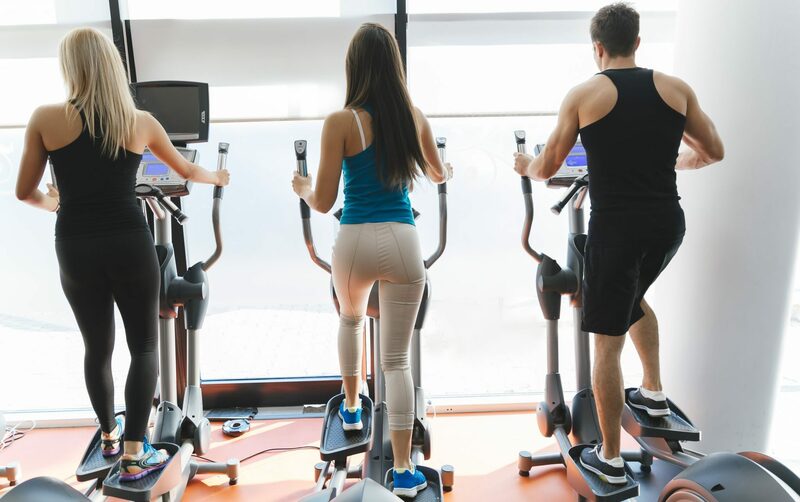 In a way elliptical is the most popular cardio machine at the gym. And this is despite the fact that some hard-core fitness fans might think it’s a tad boring and ineffective. However, it couldn’t be farther from the truth. There’s a wellspring of benefits to this gym machine, especially related to than on a treadmill training. What it lacks in speed it makes up for in intensity and end result: a stronger pumper. Yes, you heard me right. It’s not that necessary to go after high-intensity exercises to better the health of your ticker. Yoga may seem like a strange and subtle choice when it comes to heart’s wellbeing, but surprisingly it is. It is an excellent physical exercise for boosting muscle strength and building impressive stamina. Not convinced yet? Then I recommend that you try different yoga styles, like Ashtanga or Bikram yoga, to experience an elevated heart rate throughout the entire practice. On par with swimming cycling is a beloved activity for many. Unless you’re training for the Tour de France you, too, don’t see cycling as rigorous athletics but rather a joyous pastime. Apart from engaging large muscle groups in the legs cycling also helps you raise your heart rate. 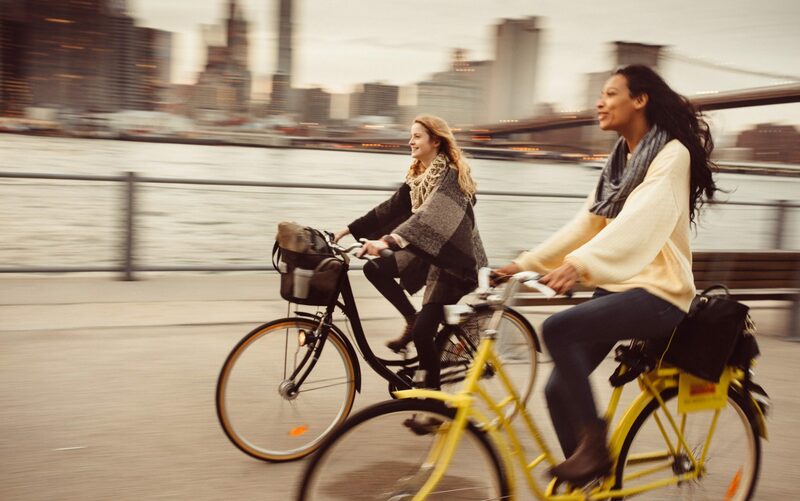 Regular bike rides help keep coronary diseases away, according to the findings of the British Medical Association. And it really is a fun activity that you can do at the gym, in the park, going for a ride with your kids, you name it! Electrifying exercise is great for building muscle mass and tightening your core. You might already lift the dumbbells like a champ not knowing just how important weight training is for the soundness of your heart. It helps get rid of the belly fat—a main risk factor for coronary disease. A rule of thumb states that aerobic and strength training effectively complement each other uniting their powers against bad cholesterol and in favor of the good one. A popular saying ‘Less is more’ suits here in the best way. Cardio is good for your heart – there’s no doubt about that. Too much of it, however, just like ‘too much’ of anything else can be a bad thing. A host of studies show that strenuous joggers run the same risk of heart disease as the non-runners with desk jobs. Marathon runners, for example, are at high risk of arrhythmia—irregular heartbeat—that may lead to a heart failure or other complications. But don’t be alarmed. Just remember to ease up and slow down during exercise. Keep your training intensity moderate and you won’t get any negative health returns, quite the opposite. The only rule is to steer clear of overtraining your precious muscle. Instead stick to regular cardio workouts, without going to far, to make your heart stronger and overall healthier.